P.O.A. AUCTION * 47 Secluded Wooded Ross Co. Acres * NICE 3 Bedroom * 2 Bath Modular Home Sold "Turn Key" * Corner of US Rt. 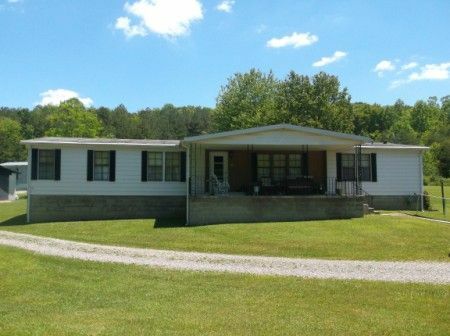 23 & George Hollow Road * $37,000 Minimum Bid! Located in Ross Co. (Scioto Trails State Park Region) cornering & fronting on both US Rt 23 & George Hollow Road, Franklin Twp. with 2 accesses: #1 at 38 George Hollow Rd. (Just before the Twp. Fire Department) and the main access, #2 is off US Rt. 23-the 1st driveway south of George Hollow Road on the left....signs posted. If your dream is seclusion, tall timber, deer, turkey & wildlife, with easy access to US Rt. 23, don't look any further! When you turn off US Rt. 23, one of two accesses is asphalt & turn to nice stone gravel lane (approx. 3/10ths of a mile) w/a neighbor using the other access to the right. The nice, clean 3 Bedroom, 2 bath home even offers an additional home site w/separate electric and septic tank (one Co. Water tap). If you are the lucky person to get this property, it will be furnished with the existing bedroom, living room, kitchen furniture & appliances. Hey! You even get the riding mowers in the concrete block workshop with shingle roof! This spacious home has an eat-in kitchen/living room combo w/wood burning fireplace, formal dining room, an owner's bedroom suite w/its own attached full bath, dbl. vanity sink & shower over tub. The home is equipped w/central air conditioning, front covered porch & rear concrete patio. 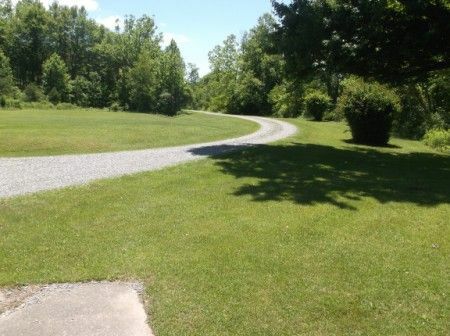 The second access has not been used for a time but it is 38 George Hollow Road which is the 1st road to the left past the entrance to Scioto Trails State Park. Real Estate Terms: $37,000 Minimum bid; $7,000 down at time of sale in the form of cash or check; no buyer's contingencies exist; offered free & clear prior to closing on/before August 26, 2014; taxes prorated to closing. Taxes & Legal: Ross Co. Auditor shows Annual Taxes (Homestead) $959.34; Ross Co. Parcel No. 131502042000; Legal Description Ross Co. Vol. 419, Pg. 458.